Q: How can I replace pages in PDF Studio? A: PDF Studio can replace pages in a PDF using pages from another PDF. This is useful if you need to substitute pages in an existing document with pages from another document. 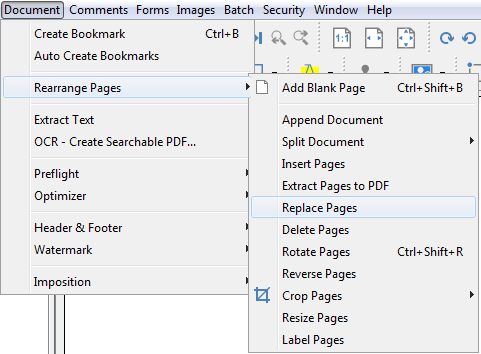 Select Document > Rearrange Pages > Replace Pages from the menu and choose a document to replace pages with. Then choose the page range in the current document to replace with the page range in the selected document.